Charmaine Wilde moved to San Marcos, Texas in 2007 two weeks after getting married. She earned her undergraduate degree from Southern Utah University. Charmaine worked in the administrative division of Texas State Athletics before she attended law school at Baylor Law School. While in law school Charmaine was active in numerous moot court, mock trial, and client counseling competitions, many of which she was either a finalist or won. She won the contract writing competition for her Contract Law class. Charmaine also became a mom in her last year of law school, juggling law school and a NICU baby. Immediately following graduation, she passed the bar exam and went to work for the Hays County District Attorney’s Office. During her time as an Assistant District Attorney, Charmaine handled a variety of cases including, misdemeanor and felony criminal cases, CPS cases, and mental health cases. Charmaine handled all types of crimes from property to person crimes including both violent and sexual offenses. She was the sole juvenile prosecutor for the office and handled a variety of cases related to juvenile and technology. Charmaine trained local law enforcement on handling the unique area of juvenile law. She spoke to teenagers in Hays County about what to do when faced with peer pressure and how to identify cyberbullying. She enjoys working with youth and young people as they grow into the adult world. 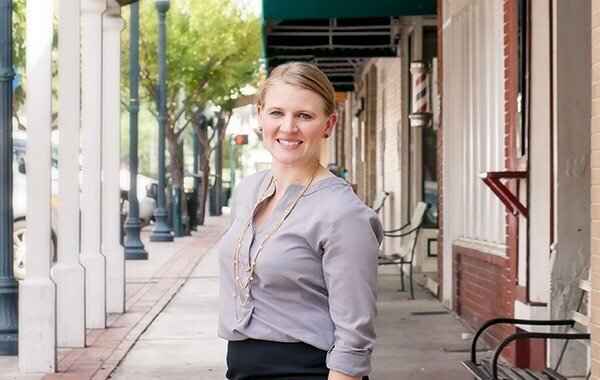 In the summer of 2016, Charmaine joined the Law Office of John McGlothlin to practice in an area of law she trained for in law school, with the added benefit of the years of trial experience she obtained working for the citizens of Hays County. Her law practice is focused on helping people plan for their future and get to a better, organized place. She enjoys all areas of civil litigation, family law, and estate planning. Charmaine also saves some of her time for court appointed criminal cases, juvenile cases, and guardianships. Charmaine is serving her second year as President of the Hays County Bar Association, and she co-founded the Hays and Caldwell County Young Lawyer’s Association in 2014. Charmaine and her husband Russell are the parents of three children and two dogs. Charmaine and Russell are passionate about living local and about Hays County. Charmaine likes to run, teach ballet, and read books in her spare time.